Los Angeles County office investment sales were on a hot streak. In December, the top five office sales topped $375 million and January, that figure stood at about $250 million. In both months, one big purchase accounted for more than two-thirds of the total. So it was no surprise that in February, without a big trade, the total would be down. And it was. The top five office sales for the county totaled just $92.3 million last month. The largest trade was a $40 million office campus in Culver City, while a two-building office complex in Hollywood, for about half as much, was No. 2. The Swig Company and Intercontinental Real Estate Corporation sold a 4.9-acre office campus at 6100-6160 Bristol Parkway to Alexandria Real Estate Equities for $39.2 million. The Bristol 61 campus last traded hands for $20.2 million in 2014, and the two firms spent the past four years renovating the property. Its tenants include Siemens Medical Solutions, Momentum Biosciences, Sofie Biosciences, and PETNET Solutions. Andell Holdings purchased the two-building office complex, which encompasses 45,350 square feet. The tenant is post-production company Encore VFX. The seller was an LLC that shares an address with Beverly Hills-based Maxxam Enterprises, which also owns properties like the Beverly Hills Gateway Tower and the Promenade Gateway in Santa Monica. Saunders Property Company sold The Atrium in La Mirada through a 1031 exchange. 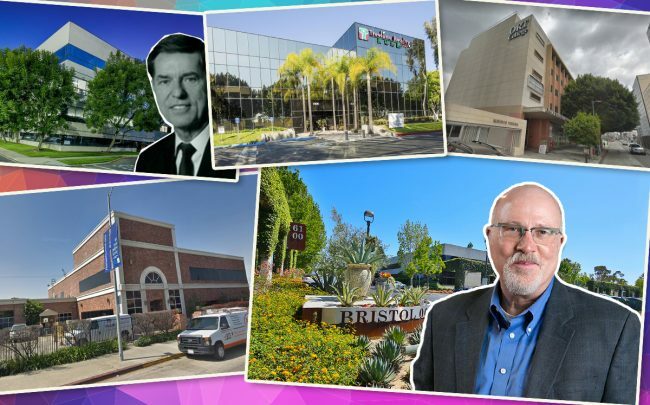 The buyer of the 84,000-square-foot property at 16700 Valley View Avenue was Anaheim-based investment firm Milan Capital Management. It is 90-percent leased to 24 tenants. The Wongjin Group sold its office at 1900 W. Garvey Avenue to Covina Office Building, LLC. The 39-year-old building is around 89,000 square feet, according to Reonomy. The office is down the road from Roger Penske Jr.’s former car dealerships at 1829 E. Garvey Avenue and 2010 E. Garvey Avenue, which also recently sold for $48.7 million. Black Equities Group purchased the Joyce and Stanley Black building for $10 million. The seller was ORT Technical Institute. Nonprofit group Baby2Baby is also a tenant. The nearly 70-year-old building is 41,000 square feet.